Last summer I shared a space we created out of doors on our patio HERE. In this post I shared, for the first time, a gorgeous and perfectly chippy chair. I moved the chair to my front porch in October to decorate for my son's birthday party and for the fall. Shortly after, we came home from work and found the chair literally broken into pieces. It had been an extremely windy day and all we can figure is the wind caught the storm door and it slammed into the chair, breaking it. That was a sad, sad day. Sigh....I really loved that chair. We stuck it in the garage with the idea that we would eventually figure out ways to repurpose the pieces. If you saw my post about my Frankenstein cabinet, then you know Nate and I enjoy building things using what we have. A few weeks ago Nate was out cleaning up his garage and was in the mood to build. After awhile he came in and got me to show me what he created. I was blown away!!! It was pure genius on his part on what he put together!! I can't tell you how much I love it!! I'm so glad there's a second life for that chippy chair after all!! Many years ago, I had a similar chippy chair - long before chippy and shabby were decorating words. I tossed out the chippy green chair. Oh, the things I could have done with it = like your husband's table. There's no going back, but i can keep my eye out for another chair. I have a chippy chair that just fell to pieces and this is wonderful inspiration! What a clever idea and a sweet little table! Love the little table. Enjoy your weekend! That is a great repurpose. I can see it on a porch, or in a sunroom with lots of plants. So many uses for little tables with character. I forgot to mention that I am also following by Linky Followers. I'd love to make one as a ice tea table for our sitting area outside. So pretty! Drop by sometime @ DearCreatives.com I enjoyed my visit. Your new follower. The Bride of Frankenstein is FANTASTIC! Great work! What a great re-purpose! This is just darling. I love how you re purposed your special chair. 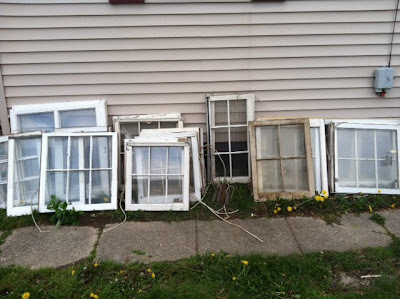 I love old windows too so I thought it was awesome! What a fun side table! Oh I love it!! Such character. Seriously, I'd love to have a piece like that. Great repruposing of an old chair! SHE'S ALIVE! -and beautiful, too. Clever transformation. What a great reincarnation! I was loving the chippy chair and felt sad when you said it was broken but now, as a BoF, she's even better! Stopping by as your linky neighbour on Inspire Me Tues and so glad I did! Great rescue! Very creative, and cute BoF table. This would look cute on my back patio with a couple of my potted herbs sitting on it. I will be looking at shabby old chairs in a new light now. Thanks for the inspiration. Pinning! Love, love, love this--so sweet and chippilicious! Thanks for sharing! Very cute! What a fun, unique piece. Great idea! Love your chippy chair. Thanks for sharing. This is so unique and creative. What a fun little side table! What a great imagination your hubs has. He made such great use of that dear old chair. Don't you love having a handy hubs? How can you bear to part with that adorable little table. I can't bring myself to throw things out like that. Someday hubs or I will figure out a way to use it. That's why our shed is full of "stuff". 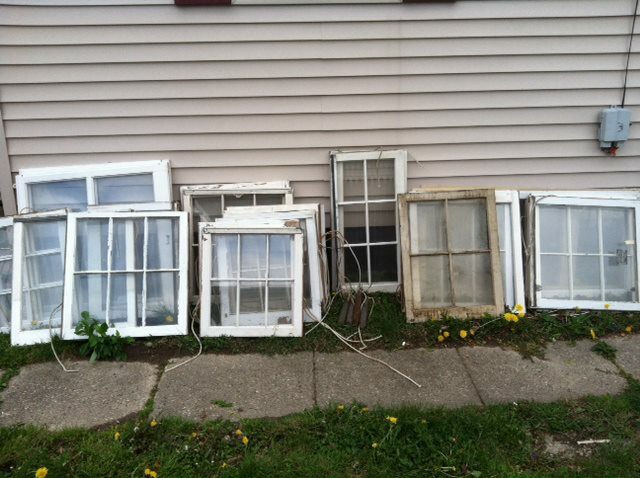 We had several old wood windows but when we left KY we had to leave most of then behind, killed me. Happy weekend. You are one lucky lady to have such a handy husband..and one who willingly figures out how to use bits and pieces of collected things! He did such a fabulous job with utilizing both the chair bottom and the window frame! Charming! I'd say the BoF has great personality!! Bravo! So fun and unique! Thanks for sharing at Get Schooled Saturday! Feel free to add the Bride of Frankenstein to my link party haha :-) (Crafty Country Cottage @ Old Red Barn). She's actually pretty good looking :-). And one of a kind. Great save and now a beautiful new table. Love all the chippy paint. Thanks for sharing at Salvage Style.